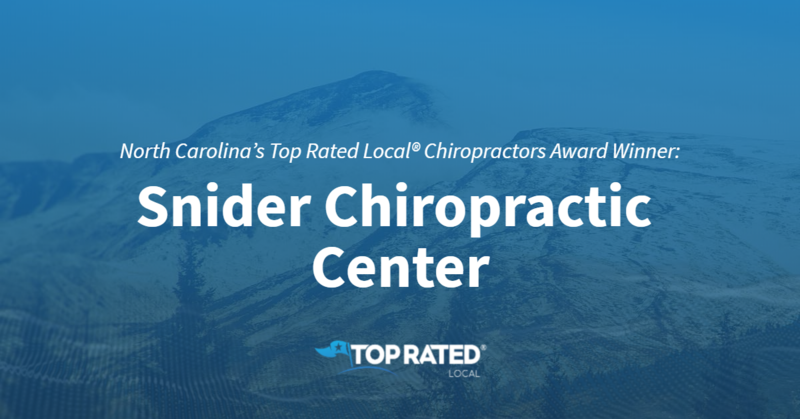 Top Rated Local® is pleased to announce that Snider Chiropractic Center is a two-time award winner in North Carolina for 2019! Find natural pain relief in Asheville by turning to Snider Chiropractic Center. Snider Chiropractic Center has received dozens of reviews on five verified sites with an average rating of 4.88 stars, earning them a fantastic Rating Score™ of 98.82 and two 2019 Top Rated Local awards for ranking among the top 100 businesses and the top 10 chiropractors in all of North Carolina! “Dr. Snyder totally changed my life, y’all. In the very short time that I have been under his care, I’m pain-free for the first time in my adult life. He is caring, kind and passionate about what he does. His supporting staff is equally as wonderful. I can’t recommend [Snider Chiropractic Center] highly enough.” – Stephanie B.
Peggy Snider, co-owner of Snider Chiropractic Center, generously gave us a few minutes of her time to tell us about this stand-out business and its impressive online reputation. The first question we had for Peggy was what is it that sets Snider Chiropractic Center apart from their competition in North Carolina. Peggy points to their many years of experience, the very intuitive doctor they have and to the fact that they are proud owners of a Galaxy McManus Flexion Distraction Table. We also wanted to know what their mission is at Snider Chiropractic Center. Peggy shared with us that their goal is to take care of the patients in the community. Peggy attributes Snider Chiropractic Center’s strong online reputation to their commitment to asking their patients for reviews. Outside of building a powerful online reputation, Snider Chiropractic Center has gotten their name out there through referrals from doctors, word of mouth and the letter board they have out in front. Congratulations to the team at Snider Chiropractic Center for being a 2019 Top Rated Local award winner, and thank you so much, Peggy, for taking the time to speak with us! We highly recommend Snider Chiropractic Center in Asheville. Visit their website today! Top Rated Local® is pleased to announce that Chiropractic Evolved is an award winner for chiropractors in 2019. 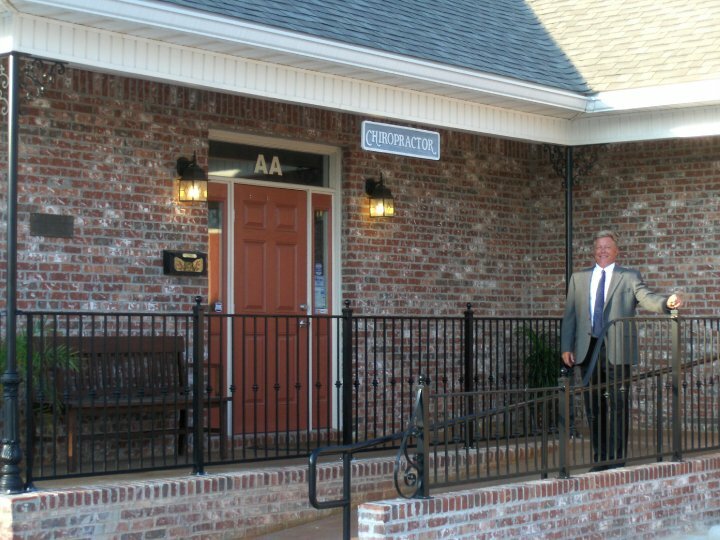 For all of your chiropractic needs in Olive Branch, Mississippi, look no further than this award-winning company! Chiropractic Evolved has received many overwhelmingly positive reviews across four different verified sites with an average rating of 4.76 stars, earning them an impressive Rating Score™ of 95.62 and a 2019 Top Rated Local award for ranking as one of the top 10 chiropractors in Mississippi! “[This was] the best chiropractic experience I have ever had. The office staff is professional and kind. Dr. Chillies does a very thorough job of complete spinal care. [I] highly recommend him!” – L.S. It is because of excellent reviews like this that Chiropractic Evolved is now able to call themselves a Top Rated Local award winner! We were excited to learn all about how Chiropractic Evolved has been able to build such an impressive reputation, so we sat down with Dr. Nikolas Chillies. The first thing we wanted to know was what it is that makes Chiropractic Evolved stand apart from their local competitors. We learned that a part of what makes Chiropractic Evolved different is Dr. Chillies’ innovative use of both traditional chiropractic and the most cutting-edge therapies available. 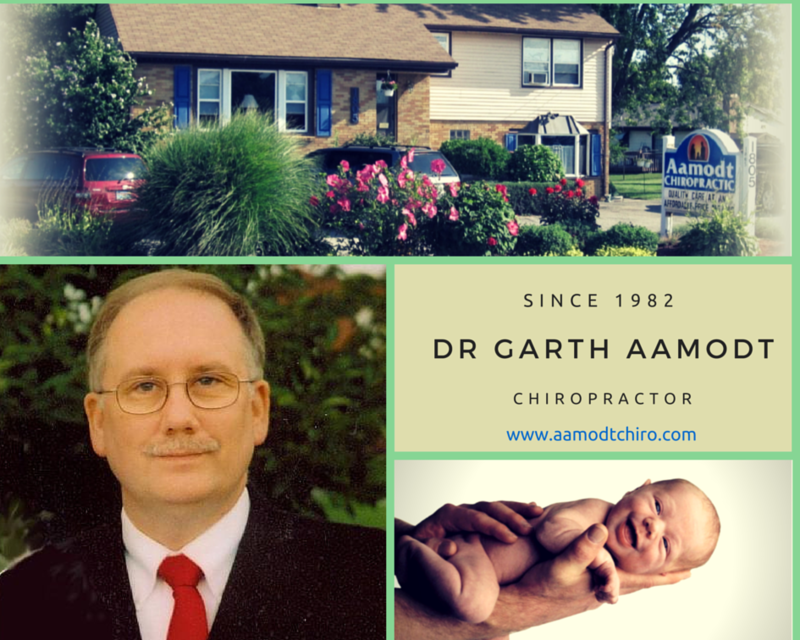 Their clinic’s mission is to provide progressive chiropractic care to all ages. Chiropractic Evolved has definitely managed to build an impressive reputation, so we were excited to learn more about some of the ways they have marketed the business over the years. We learned that they have utilized social media and online reviews to help build their strong online reputation. Offline, they are an active participant in many health fairs and other community events. Congratulations to Chiropractic Evolved for being a 2019 Top Rated Local award winner, and special thanks to Dr. Chillies for taking the time to speak with us! Top Rated Local® is pleased to announce that Whole Health Chiropractic Wellness Center is a 2019 award winner for chiropractors in Mississippi! When it comes to chiropractic care in Biloxi, there’s no better option than Whole Health Chiropractic Wellness Center. Whole Health Chiropractic Wellness Center has received dozens of reviews on three verified sites with an average rating of 5.00 stars, earning them an outstanding Rating Score™ of 96.00 and a 2019 Top Rated Local award for ranking among the top 10 chiropractors in all of Mississippi! “I have had chiropractic care over the years, so I feel like I am an informed consumer in this area. Not only is Dr. Bismark an excellent chiropractor, but he is very helpful and well-informed on a wide range of health issues. His office staff is excellent with everything from paperwork to physical therapy. My entire family receives care at Whole Health Chiropractic, including children, for chronic illnesses. I can’t recommend the experience highly enough!” – Tiffany H.
We wanted to learn a little more about Whole Health Chiropractic Wellness Center and its award-winning online reputation, so we took a few minutes to talk with Grace Taylor, Office Administrator. We also asked Grace what their mission is at Whole Health Chiropractic Wellness Center and how they work to make the world a better place. She told us that their mission is to try to do right by their patients and to make their community stronger. Grace attributes Whole Health Chiropractic Wellness Center’s strong online reputation and success to the 35 years they’ve been in business and to the word-of-mouth referrals they get from their satisfied patients. Congratulations to the team at Whole Health Chiropractic Wellness Center for being a 2019 Top Rated Local award winner, and thank you so much, Grace, for taking the time to speak with us! We highly recommend Whole Health Chiropractic Wellness Center in Biloxi. Top Rated Local® is pleased to announce that Cornerstone Chiropractic Clinic is a two-time 2019 award winner in Minnesota! When you need chiropractic care in Woodbury, you need Cornerstone Chiropractic Clinic. Cornerstone Chiropractic Clinic has received more than 100 reviews on four verified sites with an average rating of 5.00 stars, earning them a tremendous Rating Score™ of 99.00 and two 2019 Top Rated Local awards — one for ranking among the top 100 businesses in Minnesota and one for ranking among the top 10 chiropractors in Minnesota. 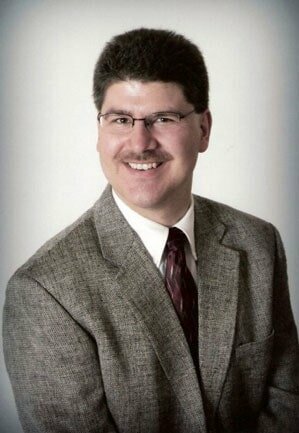 “I’ve had a great experience with Dr. Tyler and Cornerstone over the last three months. The pinched nerve I’ve had for two years is gone, and my neck has significantly better flexibility. I would highly recommend visiting Cornerstone and putting together a plan with Dr. Tyler.” – Conor K.
In order to learn a little more about this award-winning business and its stand-out online reputation, we took a few minutes to talk with Dr. Tyler Peterson, the owner of Cornerstone Chiropractic Clinic. Dr. Peterson attributes Cornerstone Chiropractic Clinic’s strong online reputation to their commitment to personally asking patients to leave feedback on social media. Outside of building a powerful online reputation, Cornerstone Chiropractic Clinic has spread the word about who they are and what they do through health fairs and referrals. 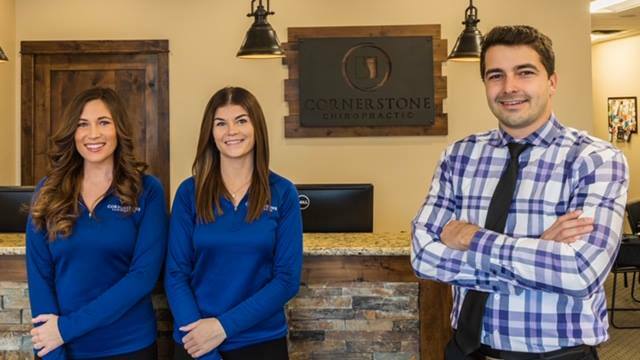 Congratulations to the team at Cornerstone Chiropractic Clinic for being a 2019 Top Rated Local award winner, and thank you so much, Dr. Peterson, for taking the time to speak with us! 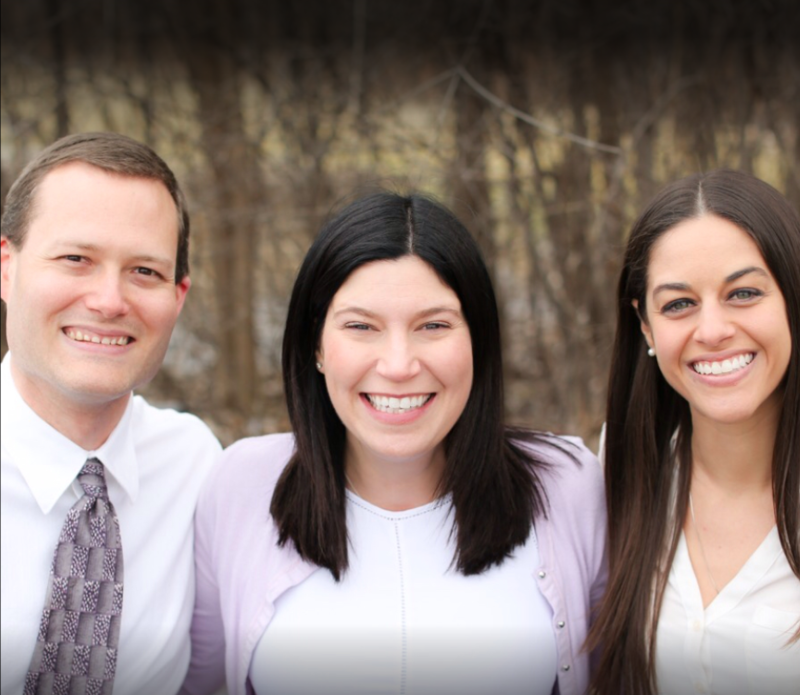 We highly recommend Cornerstone Chiropractic Clinic in Woodbury. Visit their website today! Top Rated Local® is pleased to announce that Precision Chiropractic Center is an award winner for chiropractors in 2019. Need an adjustment in Rochester, Minnesota? We highly recommend Precision Chiropractic Center! 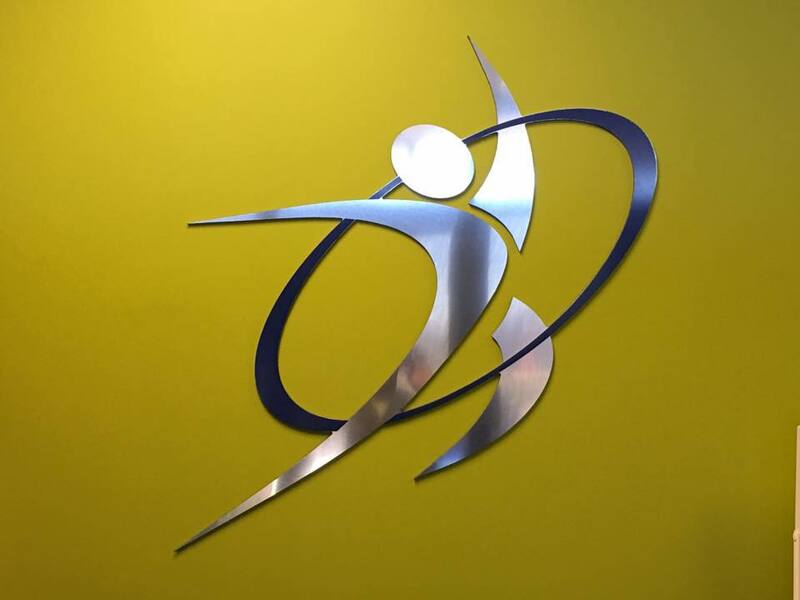 Precision Chiropractic Center has received dozens of overwhelmingly positive reviews across five verified sites with an average rating of 5.00 stars, earning them a perfect Rating Score™ of 100.00 and two 2019 Top Rated Local award for ranking as one of the top ten businesses and one of the top three chiropractors in all of Minnesota! “I am a trial attorney who, based on my personal injury litigation experience, used to be very skeptical about chiropractors, until I met Dr. Sands, that is. In two visits, he cured me of a very annoying and painful tennis elbow condition, something I had had absolutely no luck with at Mayo Sports Medicine. Since then, I’ve been going to Dr. Sands once a month for maintenance, sometimes more often if something crops up. He continues to amaze me with his ability to quickly diagnose a condition and then promptly and successfully treat it. Also, I’ve never had to wait more than five minutes in his office. Longer wouldn’t be a problem because his staff is exceptionally friendly and helpful. In short, Dr. Sands is a very valuable asset to this community.” – W.F. It is because of excellent reviews like this that Precision Chiropractic Center is now able to call themselves a Top Rated Local award winner! We asked Dr. Sands about his business’ mission. He shared with us that he was helped when he was young, and he is looking now to dedicate his life to helping people. Precision Chiropractic Center has clearly managed to build an impressive reputation online. Dr. Sands says that he has not ever had to ask for reviews, and that his patients are kind enough to leave them on their own. As far as marketing goes, he says he has taken out an ad in the phone book, done some Facebook marketing, and has done ads on television and radio. Despite all of this, referrals have been Precision Chiropractic Center’s best source of new patients. 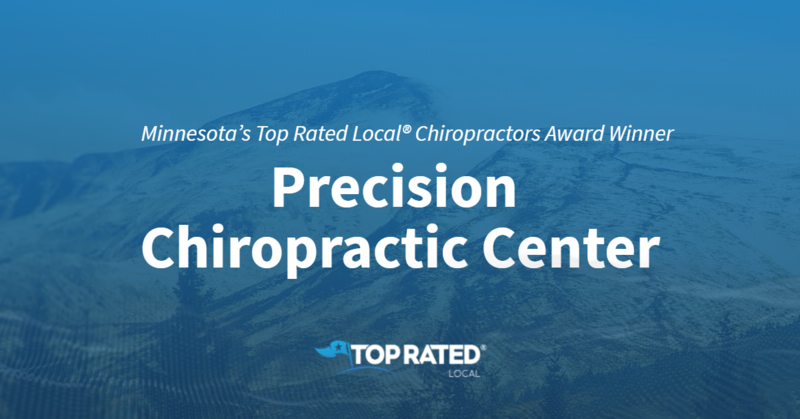 Congratulations to Precision Chiropractic Center for being a 2019 Top Rated Local award winner, and special thanks to Dr. Todd Sands for taking the time to speak with us! Top Rated Local® is pleased to announce that Action Chiropractic is a 2019 award winner for attorneys and law firms in Mississippi! 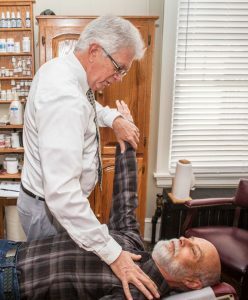 To experience contemporary chiropractic care designed for your complete satisfaction, we recommend Action Chiropractic in Ridgeland, Mississippi. 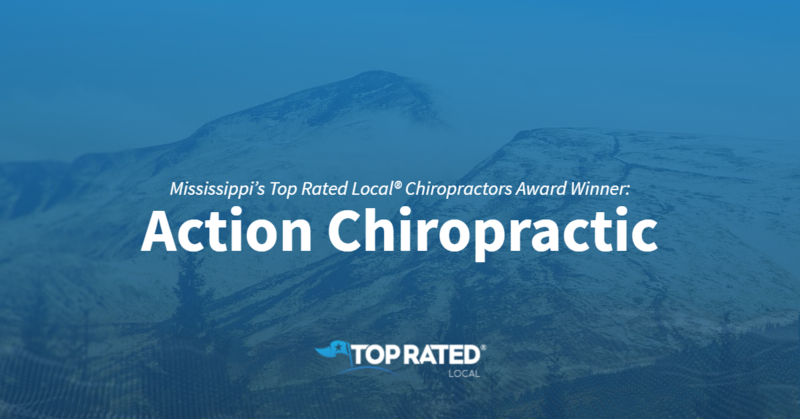 Action Chiropractic has received hundreds of reviews on four verified sites with an average rating of 5.00 stars, earning them an incredible Rating Score™ of 98.00 and a 2019 Top Rated Local award for ranking among the top 10 chiropractors in all of Mississippi! We wanted to learn a little more about this award-winning business and its impressive online reputation, so we took a few minutes to talk with Kelly, the office manager at Action Chiropractic. The first question we had for Kelly was what sets Action Chiropractic apart from their competition in Mississippi. Here’s her response:. Outside of building a powerful online reputation, Action Chiropractic has gotten their name out there through referral discounts and by partnering with ChirohealthUSA so that people without insurance can receive care at an affordable price. Congratulations to the team at Action Chiropractic for being a 2019 Top Rated Local award winner, and thank you so much, Kelly, for taking the time to speak with us! Visit their website here! Top Rated Local® is pleased to announce that Precise Chiropractic is a 2019 award winner for chiropractors in Michigan! If you live in Troy, Michigan and need relief from back pain, we recommend you visit the team at Precise Chiropractic for an adjustment. Precise Chiropractic has received more than 200 reviews on four different verified sites with an average rating of 4.97 stars, earning them a fantastic Rating Score™ of 97.72 and two 2019 Top Rated Local awards — one for ranking among the top 100 businesses in Michigan and one for ranking among the top 10 chiropractors in Michigan. “[I] had constant back, neck and rib pain, along with headaches for the past year. After a few short months of adjustments, I can say I am pain free! [The] staff are excellent! -Jarett S.
Jamie, doctor, and Owner of Precise Chiropractic, generously gave us a few minutes of her time to tell us about this award-winning business and its impeccable online reputation. The first question we had for Jamie was what sets Precise Chiropractic apart from the other chiropractors in Michigan. She shared that they are specialized in NUCCA. This is a specialty that requires no twisting, cracking, or popping. Jamie credits their patients for Precise Chiropractic’s strong online reputation. The staff aim to give patients the relief they have longed for and, in return, the patients leave positive reviews. Jessica shared that they do ask for reviews after people work with them. It is not difficult to see that patients walk away with their pain eased. Outside of building a powerful online reputation, Precise Chiropractic has gotten their name out there by hosting a talk show each Tuesday for five years now. The show encourages people to call in and ask their questions. Congratulations to the team at Precise Chiropractic for being a 2019 Top Rated Local award winner, and thank you so much, Jamie, for taking the time to speak with us! Visit their website here! 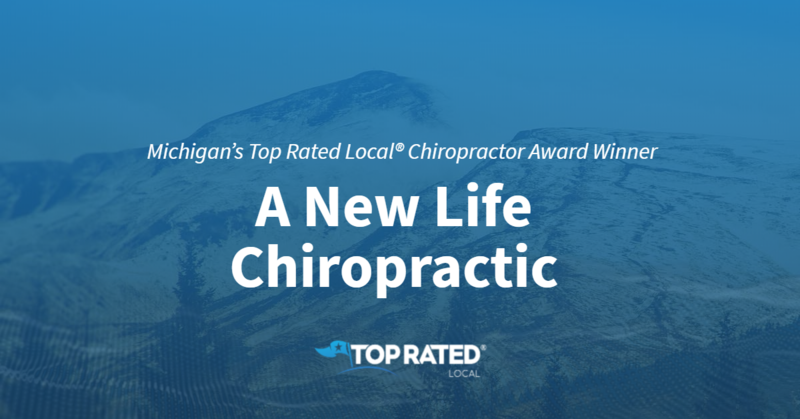 Top Rated Local® is pleased to announce that A New Life Chiropractic is not only one of the top five chiropractors in Michigan, but one of the top 25 businesses in the state overall! “Dr. Clift is the best chiropractor I’ve ever been to, by far! He and his staff are very warm and welcoming. They always greet me by name. Their therapy room is like heaven after an adjustment. The roller tables and hydrotherapy tables are my favorites! If you are looking for a chiropractor in the Flint area, your search is over!” -Karly A.
Shelby Miller, chiropractic assistant at A New Life Chiropractic, took some time to speak with us about the business’ wonderful online reputation. Congratulations to the team at A New Life Chiropractic for being a 2019 Top Rated Local award winner, and thank you so much, Shelby, for taking the time to speak with us! 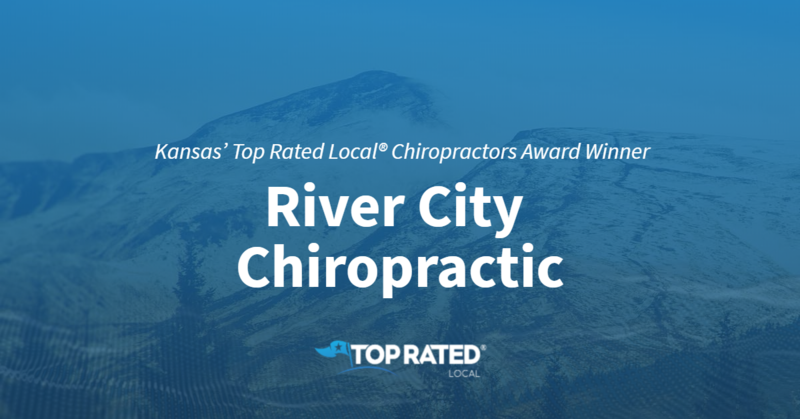 Top Rated Local® is pleased to announce that River City Chiropractic is not only one of the top five chiropractors in Kansas, but one of the top 100 businesses overall in the state! “I came to River City Chiropractic with extreme pain in my lower neck and an unrelated case of shin splints (something that has haunted me for years). A couple weeks later, I’m a new man. My neck feels great, and my shin splints are totally gone. Dr. Charlie not only gave me general adjustments to ensure my body was aligned properly, [but she also] taught me stretches and exercises that targeted my pain points that I plan on implementing for life. I’m so thankful that I’m now able to get back to living! Thanks, Dr. Charlie!” -Daniel B. This and so many more terrific reviews have helped River City Chiropractic to earn a 94.05 Rating Score™, a perfect 5.00 average star rating, and a 2019 Top Rated Local award! Dr. Charlie Herman, the owner of River City Chiropractic, took some time to speak with our team about her clinic’s fabulous online reputation. We also really wanted to know why Dr. Herman and her team do what they do. “Our mission is for our patients to optimize their lives. We do this by improving an aspect of their health. We want our patients to be the best they can be in and out of the office. We want to reduce pain and improve mobility,” she told us. Congratulations to the team at River City Chiropractic for being a 2019 Top Rated Local award winner, and thank you so much, Dr. Herman, for taking the time to speak with us!